It’s surprising that in this day and age of information some things still manage to slip between our fingers. Phu Quoc? What is that? 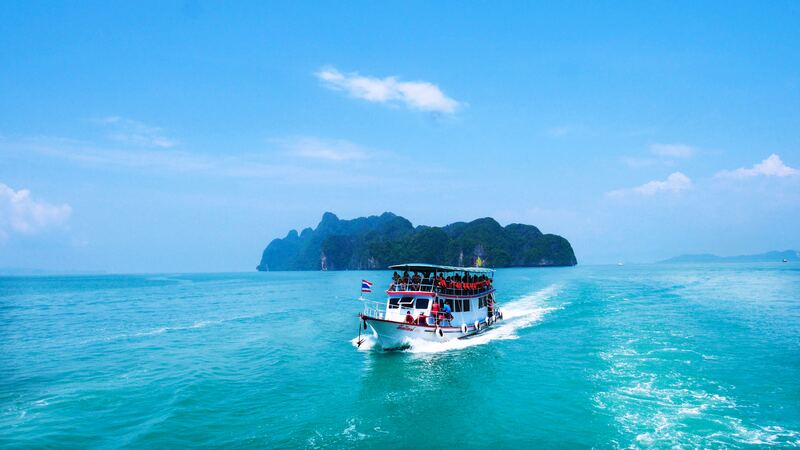 Well, it’s only an idyllic island in Southeast Asia just begging for you to come visit. One word: unspoilt. Phu Quoc is still a relatively unknown destination. Lost in a sea of Phuket and Bali adventures, Vietnam’s Southern island doesn’t get the love it deserves. 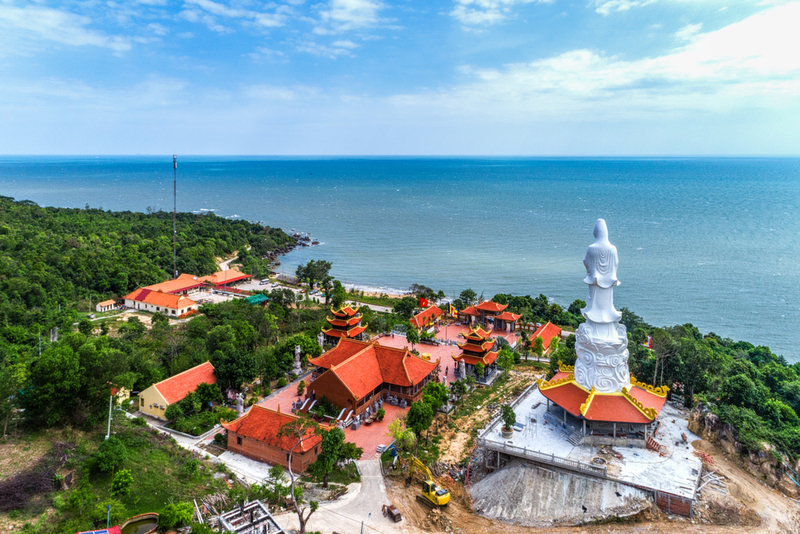 What’s more, now is the perfect time to visit before the throngs of tourists realize just how amazing of a place Phu Quoc is and steal away some of its charm. Phu Quoc is perfect as a stand-alone beach getaway or as an add-on to your trip through Vietnam. 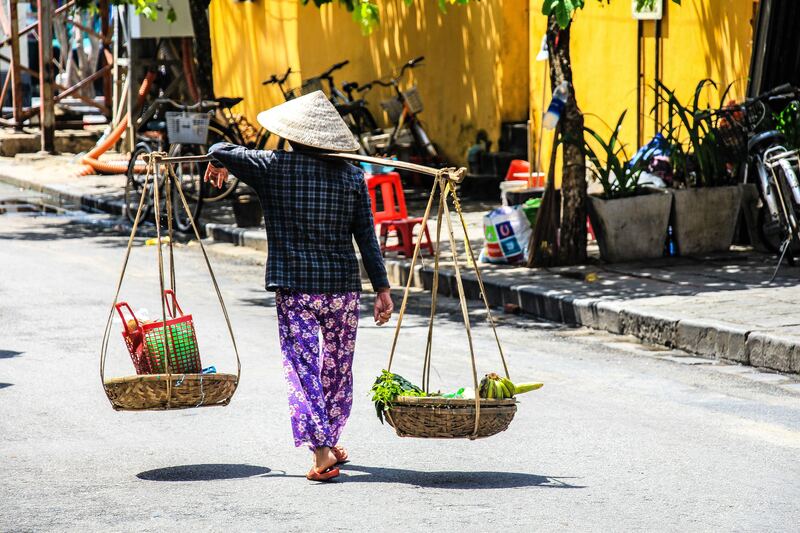 Hanoi, Ho Chi Minh and Ha Long Bay are all top Southeast Asian destinations for good reasons: the history, the nature, the food sand so much more! Phu Quoc has all of that and more - throwing in beaches, green mountains and plenty of relaxation. It’s the perfect place to escape the hustle and bustle of the mainland. It’s time to trade the rice fields for pepper farms and get off the beaten path. 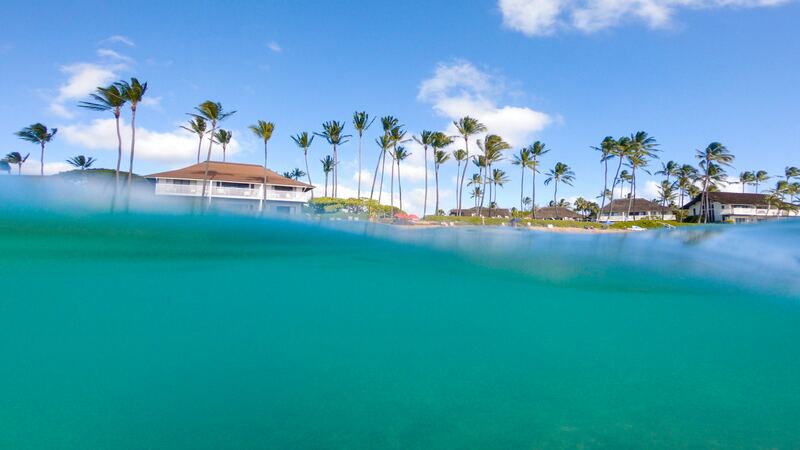 The first thing you should do when you get to any island is head straight to the beach. Phu Quoc has so many of them that they aren’t even all mapped out yet. With barely any exploring, you can easily find an amazing beach to laze on and enjoy the quiet. On the west coast, you can head to Long Beach for a more luxurious side of things. On the eastern side of the island, Sao Beach is less crowded. You really can’t go wrong wherever you go, as the island is literally surrounded by great beaches. Relaxing on the sand with a drink in hand and some fresh fruit is an amazing way to spend your day. While you’re there, make sure to catch a sunset -- some of the finest in all of Vietnam. Snorkeling and scuba diving are also a must on the island. Phu Quoc has the best marine life in the entire country. Cuttlefish, octopus, turtles galore, eels and so many more are swimming around in the crystal clear and calm waters. It’s also the perfect place for beginners, as the current isn’t daunting at all. PADI courses are available as well so you can take in all of the underwater beauty. Fishing is also quite common on the island. Many locals are fisherman and you can find fishing villages all over Phu Quoc. If you’d like to give it a go, consider an expedition with one of the many tour providers on the island. Night fishing is a one-of-a-kind experience that truly should not be missed. 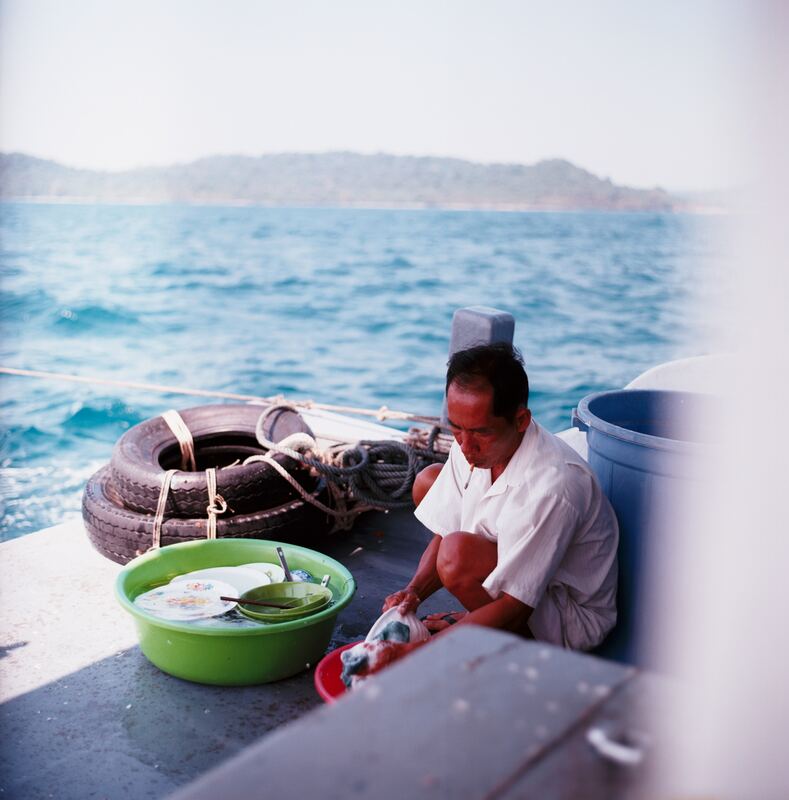 Have dinner aboard a small fishing boat and try your hand at catching some squid. If you’re lucky you might even catch a glimpse of something amazing in the dark waters of the Gulf of Thailand. Small group tours are the rage on the island and most of them are extremely affordable. Plenty also include lunch or dinner. 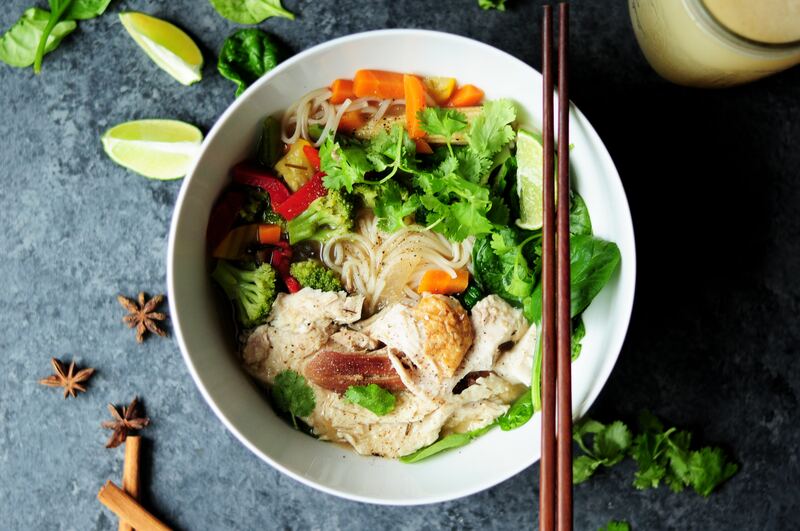 What’s better than a Vietnamese home-cooked meal on the water in between snorkeling sessions? From personal experience, I can say not much. Relaxing on the island is supremely easy. Spas are dotted all around Phu Quoc and yoga has also begun to gain popularity. My favorite way to unwind by far however, are the beach massages. Massage beds can be found on the beach and you will be covered in coconut oil from head to toe while listening to the waves as you let all the stress of your daily grind melt away. The massages are inexpensive and perfect after a long day of snorkeling and swimming the day away! Half of the island is a national park. More specifically, a UNESCO Biosphere Reserve. It’s a great place to explore and take in the unique fauna and flora. For the brave of heart, Mount Heaven is a 4-hour hike with the bonus challenge of a 10-meter bamboo ladder. It might be a bit daunting, but the journey and the views are worth it. On such a small island, statistically, you’re bound to stumble upon the park at one time or another. Although small, Phu Quoc still has a rich history and culture. Even if religion isn’t your thing, pagodas and temples are worth a visit if only for the architecture. Cao Dai is one of the most popular temples. The Phu Quoc Prison, now turned museum, is also worth a visit. Getting in costs less than a dollar and it’s a great window into the dark times the island went through during the Vietnam War. Life-size mannequins showcase quite horrific, but true, scenes. Although a bit less in line with the beachy getaway you expect on this island, it’s still an incredibly interesting place. If there is only one thing you do on the island it should be this: eat. Eating and drinking on the island is a joy. Bars and restaurants are numerous and the variety of flavors is incredible. Phu Quoc is famous for its fish sauce and you may find it accompanying many dishes. It is a great souvenir but do double or triple bag it in your suitcase as the smell is quite intense and a bottle breaking could easily ruin your trip! Although not for the faint of heart (due to the smell), you may visit a fish sauce factory to see how the magic happens. If the scent turns you off a little, pepper farms are slightly less daunting! Asian markets are always an otherworldly experience. The Duong Dong Market is where the locals shop and is the best place to get fresh produce, souvenirs and a bit of everything. 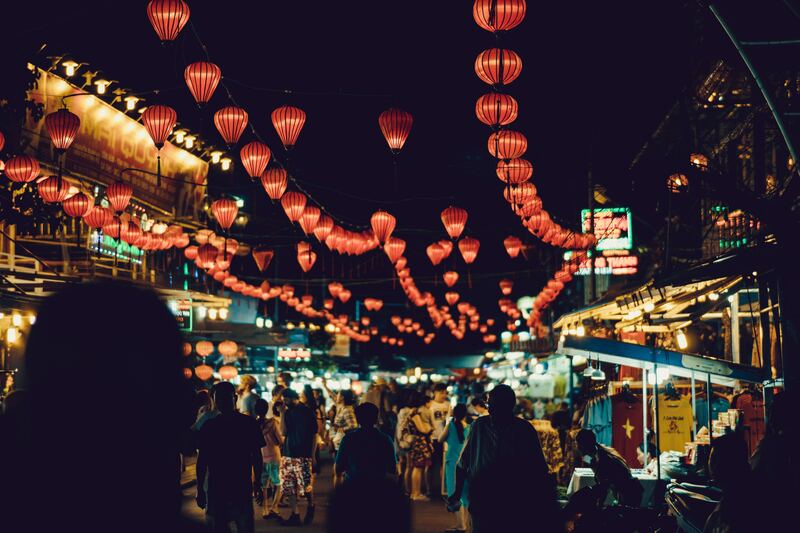 The Dinh Cau Night Market always booms with activity, and after dark, it’s even more buzzing Head on over for a dinner of fresh seafood and try the slab ice cream to end the night on a sweet note. You won’t only find tourists there either, locals enjoy all the smells, sights and tastes just as much as you do. An island like Phu Quoc is just filled to the brim with things to see, do and experience. Sometimes the best thing to do when faced with such wonders is to simply wander. On an island 50km long, you can’t get hopelessly lost. So, just let the wanderlust take you to Vietnam’s hidden paradise and spread the word, but not too much. 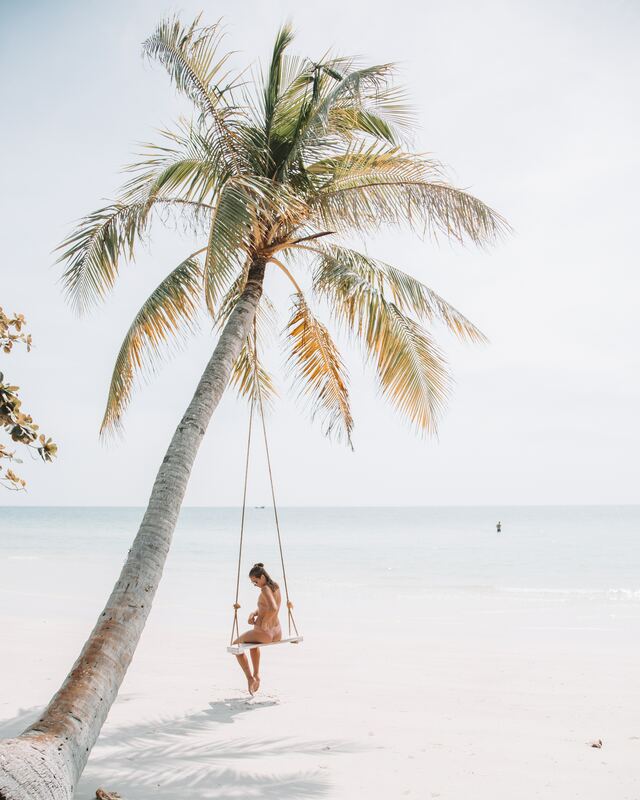 The island of Phu Quoc is right off the coast of Cambodia in the Gulf of Thailand, and while it is remote, getting there is easier than you’d think. Before you hop on a plane or a boat, you will most likely think of getting a visa… or not. Phu Quoc is classified as a Special Economic Zone which means that you may enter the island for 30 days without a Vietnamese visa. All you need is a valid passport and a proof of departure! The easiest way to get on the island is by plane. The Phu Quoc International Airport opened its doors in 2012, and while the chances of getting a non-stop flight from anywhere outside of Southeast Asia are slim to none, departures from many Southeast Asian cities are frequent. 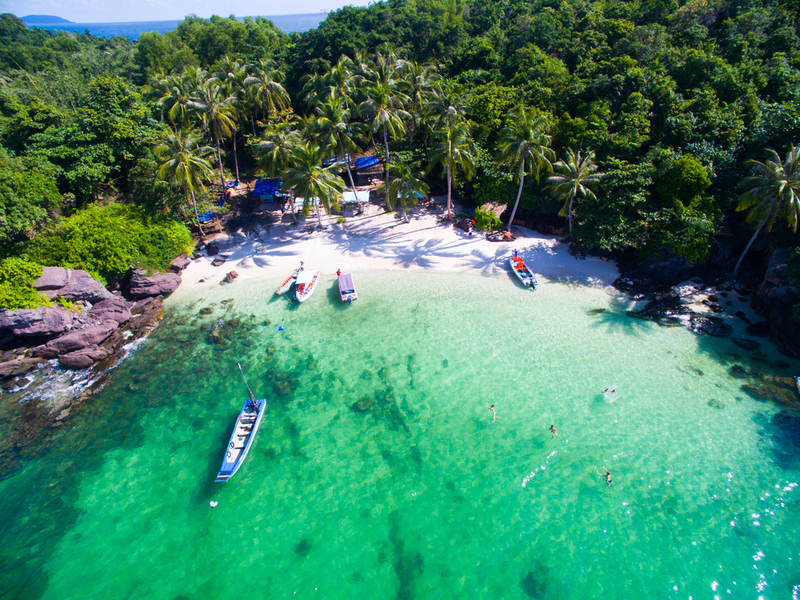 Daily flights from mainland Vietnam and weekly flights from Singapore, Bangkok and Guangzhou make getting to Phu Quoc quite painless. If flying isn’t your thing, you can also get to the island by ferry. SuperDong is the most commonly used ferry company. You can board a “fast ferry” from Ha Tien or Rach Gia and combinations of buses and ferries are also available should you be in say, Ho Chi Minh. There are multiple departures for both ferries, but be sure to head to the docks fairly early as the last departure is usually between 12:30pm and 2:30pm. The journey takes about 2-hours and a one-way ticket will only set you back $10 USD if you’re leaving from Ha Tien and $15 USD from Rach Gia. Phu Quoc offers a variety of accommodation choices. Since it hasn’t been over-commercialized (yet) there are still amazing and affordable gems all over the island. Of course, you can find gorgeous luxurious resorts too. Vacation rentals have popped up starting at $20 USD a night. That’s not bad for having your own kitchen and being able to cook the freshest seafood right at home. If you want a truly immersive experience, why not consider a homestay? As any respectable beach destination, hostels are also aplenty. Although the island is on the small side (574 km²) it still boasts wildly different areas and some of them might be better suited to you than others. Duong Dong is where everything is. If you want to truly live like a local, go out at night and try all of the grub, this is the place for you! Duong Dong is the main town and you’ll find plenty of hotels there with a wide range of prices. It is a perfect mix of beach and city. The only downside to being in the city is the traffic, really. White sand as far as the eye can see and crystal-clear water is what makes Long Beach the crown jewel of the island. Long Beach still has a lot of action going on but with less local charm. However, the sunsets on the white beaches are the best you’ll find on the whole island and the nightlife is booming. Budget to luxury go side by side here, as they do on the whole island. Ong Lang Beach is the quiet cousin of Duong Dong, with only a 20-minute car ride separating the two. If you want to fully relax and bask in the beauty of the island, Ong Lang Beach is a great choice. It is a bit pricier than Duong Dong, but mid-range accommodations are available along with luxury resorts. The beach is gorgeous and the restaurants aplenty, but if you like a good party, maybe skip on this one. Once you’ve gotten to Phu Quoc, you’ll still need to figure out how to get around the islan. Make sure to book a shuttle, as taxis to Long Beach and Duong Dong are quite expensive when departing from the airport or the port. Once you’re in town, taxis become a viable option. They aren’t too pricey, and while scams happen sometimes, keep your wits about and you’ll be good to go. The island is very safe and plenty of solo-travelers visit, but over-charging still happens occasionally to unsuspecting visitors. As far as communication with taxi drivers goes, English levels might not be so high. However a business card, written words and some rough pronunciation will get you there eventually. Uber is unfortunately unavailable on the island at the moment, but that can always change. 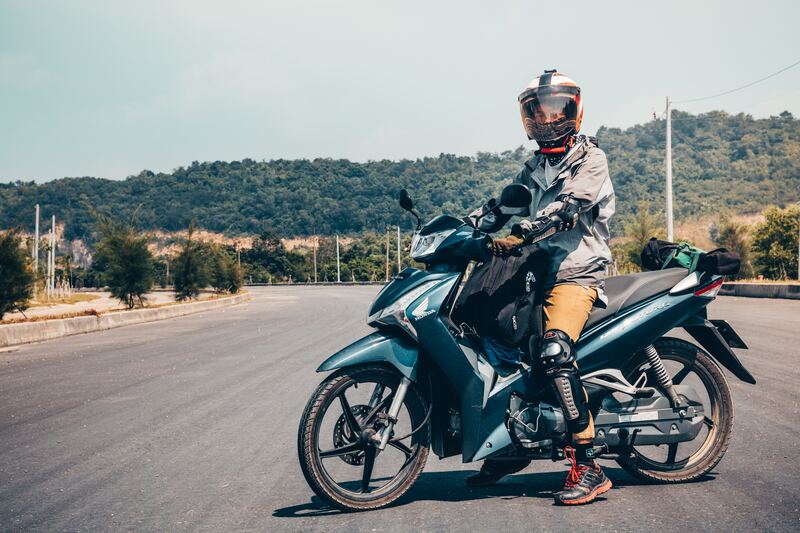 Although the roads can be quite bumpy, the best way to get around is by scooter or motorbike. Although by law, in order to drive a motorized vehicle on the island, foreigners must have an International Driving Permit. If you do have one, or decide to get one, rental offices are everywhere on the island and your hotel might even be able to help out. If you want to avoid the hassle of getting a permit, a bicycle is also a lovely way of exploring Phu Quoc. Plenty of hotels have bikes available, but keep in mind that this is Asia, and the driving can be a bit overwhelming when compared to most other places. When all else fails, walking will get you plenty of places. Wi-fi is also readily available at most restaurants, hotels and even certain shops, so should you get lost, or need a quick translator, the Internet comes in handy! There’s little to lose and a lot to gain from this small hidden gem of an Island. Such an amazing destination is bound to garner attention in the years to come. Now is the perfect time to experience Phu Quoc in all its authentic beauty.